• To provide the highest quality of music instruction in a pleasant and positive environment to help students achieve their greatest musical potential. • To enrich students' lives through unique instruction and performance opportunities, and to help nurture a lifelong love of music. • We believe that all students can develop cognitive (thinking), emotional (feeling), and physical (moving) aspects through well-organized musical experiences. Videos from Group Music Classes Available! Careers at the Masako's Music Studio! 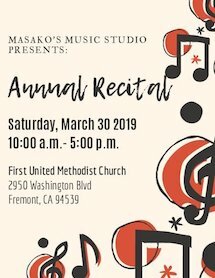 Please join us for our Annual Recital! ■ WELCOME TO MASAKO'S MUSIC STUDIO! "Music heals our hearts. When we're tired, depressed or sad, if you sing a familiar song, or play the piano for a couple of minutes, our sadness and stress magically drift away." My students and friends know about the power of music. At Masako's, anyone is welcome! Wouldn't you like to learn and experience the magic of music? 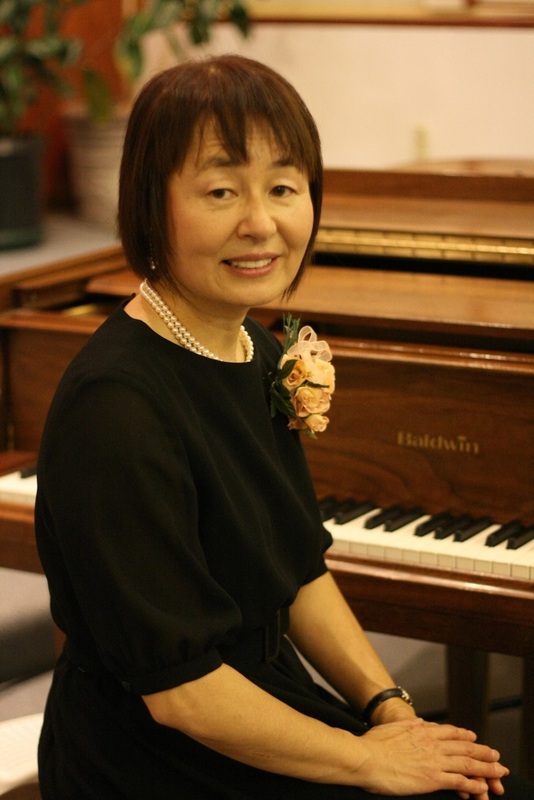 Masako's Music Studio offers private and group music enrichment programs for all ages. Opera Singer really uses Music to heal people. In this article, you may find "Power of Music" and "Vital Role of Music in Love, Harmony, and Peace"